The quality of the items you use every day in your restaurant speaks volumes about your commitment to service. When it comes to paper napkin bands and cutlery wrappers there is really only one choice. 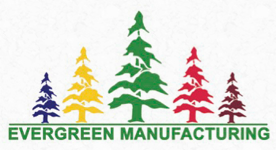 Evergreen Manufacturing is the largest specialty paper company of its kind operating in the United States today. With 70 years of family-owned-and-operated service behind us, Evergreen Manufacturing will exceed your needs with our superb customer service. Contact us today for more information. 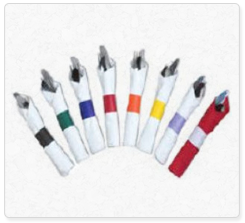 We manufacture and distribute prewrapped napkin bands, POS cash register rolls, custom labels and quality restaurant papers. Evergreen Manufacturing of Martinsville, Illinois, is a USA family-owned-and-operated company that has been in continuous operation since 1946. For 70 years our business has been built by loyal employees and customers from small central US towns. We've shared our strong values of impeccable quality and superior customer service with our customers. We are now owned and managed by a third generation of the same founding family. At Evergreen Manufacturing we are proud that our customers trust and depend on us to meet their needs. We enjoy getting to personally know our clients and give them the highest standard we can. This is also why we have grown to be the largest and most experienced specialty paper manufacturer in the US.